With Schlage Touch, no key means there's nothing to lose, nothing to fiddle with, and for intruders nothing to pick. All in a slim profile that's every bit as sleek as it is strong. When you take out the key, it's amazing what all you can add. 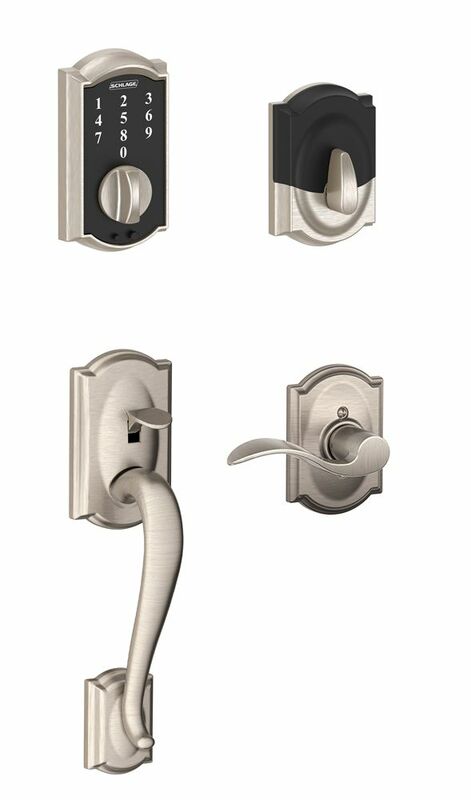 Touchscreen Handle Set Camelot/Accent Lever Satin Nickel With Schlage Touch, no key means there's nothing to lose, nothing to fiddle with, and for intruders nothing to pick. All in a slim profile that's every bit as sleek as it is strong. When you take out the key, it's amazing what all you can add.